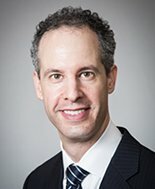 Welcome to the NYC Plastic Surgery Practice of Adam Schaffner, MD, FACS; 120 East 56th St, Suite 800A, New York, NY 10022; the Triple Board Certified Plastic Surgeon offers expert plastic surgery consultations for all plastic surgery procedures at his NYC Office. Adam Schaffner, MD, FACS is a Triple Board Certified Plastic Surgeon and double Fellowship-trained NYC Plastic Surgeon who specializes in aesthetic plastic surgery of the face, breast and body. * * * To schedule a confidential plastic surgery consultation, simply phone our office or request your consultation online via our Inquiry eForm or emailing info@plasticsurgeoninnyc.com. 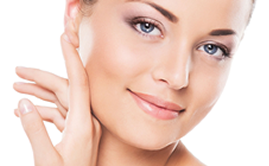 The NYC Park Avenue Plastic Surgeon has performed hundreds of plastic surgeries from Facelifts, Eyelid Lifts (Blepharoplasty), Tummy Tuck, Body Lift, Liposuction, and Thigh Lift to Cosmetic Injectables including BOTOX®, BELOTERO®, Cosmetic, Dysport®, XEOMIN®, and facial fillers such as Juvéderm®, Restylane®, Perlane®, Radiesse®, Sculptra® Aesthetic. Due to the Board Certified NYC Plastic Surgeon’s respected credentials and thought-leadership in the field of Plastic Surgery he has been interviewed most recently by The New York Times, ABC’s Good Morning America, CBS News, FOX News, NBC’s Telemundo and PIX-11’s the Dr. Steve Show – as an expert Plastic Surgeon to discuss his best in class practices in plastic surgery. Adam Schaffner, MD, FACS has also been quoted numerous times; most recently in Newsweek, USA TODAY and the New York Observer. The NYC Plastic Surgeon is featured as a Facelift expert on RealSelf.com and is listed in the Guide to America’s Top Surgeons by the Consumers’ Research Council of America, America’s Cosmetic Doctors by Castle Connolly Medical, Ltd., Marquis Who’s Who in America, Marquis Who’s Who in the World, and Marquis Who’s Who in Medicine and Healthcare. The NYC double Fellowship trained Plastic Surgeon, Adam Schaffner, MD, FACS was honored as one of New York’s Super Doctors®, an honor accorded to less than 5% of practicing physicians in New York City. The acclaimed Plastic Surgeon has also been named as one of America’s Most Compassionate Doctors by the Patients’ Choice Recognition Program, an honor accorded to less than 3% of practicing physicians in the United States. Dr. Schaffner has also received the Patients’ Choice Award, an honor bestowed on less than 5% of practicing physicians in the United States who have received near perfect scores as voted by their plastic surgery patients. Adam Schaffner, MD, FACS is additionally a highly rated author and speaker. The NYC Plastic Surgeon has written and co-authored numerous journal articles and book chapters on plastic surgery to share his knowledge and best practices with other plastic surgeons. The NYC Plastic Surgeon has presented his work at numerous national plastic surgery meetings. He also reviews articles written by other plastic surgeons which are being considered for publication in peer-reviewed aesthetic plastic surgery journals. Adam Schaffner, MD, FACS performs plastic surgery on patients not only from around the New York City area, but from all over the United States and the world. We want the patient to concentrate only on the plastic surgery and recovery not to worry about the traveling. Whether you are travelling to us by train, subway, car or plane, we will happily assist you with directions and your travel accommodations. If you have any questions for the NYC Plastic Surgeon or would like to schedule a plastic surgery consultation with the NYC Plastic Surgeon please feel free to contact Adam Schaffner MD, FACS for a plastic surgery consultation at 120 East 56th Street, Suite 800A New York, NY 10022; (212) 481-6696.